﻿ How Shall We Excape if Neglect Salvation? This question floods the mind with other important questions. Who is being referred to by the pronoun we? How shall we escape what? What is in view in the expression so great salvation? What does it mean to neglect this great salvation? The so great salvation that is proclaimed is the person and work of Jesus Christ. The great salvation is about the great Savior (Lk. 2:30; Jn. 4:22, 42; 14:6; Acts 4:12). Salvation is synonymous with the Savior. The context is speaking of the preaching of Jesus who is greater than the prophets and the angels who spoke with authority before His incarnation. God is speaking to us in His Son. Because He is the greater witness of the Father we must pay much closer attention to what we have heard (Heb. 2:11). Since the word spoken through angels proved unalterable, and every transgression and disobedience received a just recompense, how shall we escape if we neglect so great a salvation? (vv. 2-3a). Moreover, after the Lord spoke it was confirmed by those who heard it, and by God bearing witnesses with them, both by signs and wonders and by various miracles and by gifts of the Holy Spirit according to His own will (v. 4). Jesus Christ revealed God’s great plan of salvation. In Christ we have redemption through His blood, the forgiveness of our trespasses, according to the riches of His grace which He lavished upon us (Eph. 1:7-8; cf. 2 Cor. 5:21; Rom. 3:21-26; 5:6-8; 10:9-10; Eph. 2:8-9). The gospel of your salvation is the power of God unto salvation to everyone who believes (Acts 3:26; 16:31; Rom. 1:16). The excellency in this so great salvation is in the person who saves the lost sinner. Jesus, the Son of God, is the salvation of Yahweh. What is it from which we are saved? It is the wrath of God that every sinner deserves. The most frightful conception comes infinitely short of the most dreadful reality, observes A. W. Pink. What are the benefits of so great salvation? It is the blessed fact of a full, free, and everlasting forgiveness of our sins, a perfect purity, and perfect relationship forever in the eternal presence of the LORD God (1 John 1:9). How were these blessings obtained for us? It was through the vicarious suffering of our substitutionary sacrifice on the cross at Calvary. 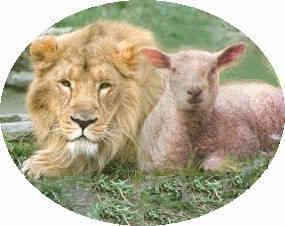 The only begotten Son of God was also the Lamb of God that takes away our sins (John 1:29). This so great salvation is free to all who will receive the Savior, and His finished work of salvation by faith (John 1:12-13; 3:16, 36). How can a person neglect so great salvation that God has provided in His grace and mercy? The writer of Hebrews is stressing the personal responsibility to hear and respond to the word of salvation (Matt. 10:32-33). The sinner must accept this great message of salvation. It deserves our full acceptance that Christ Jesus came into the world to save sinners (1 Tim. 1:15). To neglect the great salvation is nothing short of despising God Himself. The good news of Jesus Christ is a divine mandate, and to disregard it is to put the sinner in imminent danger of eternal suffering. God pleads for every person to repent of their sins and unbelief, and trust in Christ as their Savior today. To fail to do so will only lead to eternal punishment (John 3:18; 1 Peter 4:17-18; 2 Thess. 1:8-9; Heb. 10:26-31). Why would anyone want to make light of this wonderful salvation in Jesus Christ? To neglect is to remain inattentive and unbelieving? Neglecting will render escape impossible. What do you have to do to be lost? Nothing. Absolutely nothing! How then shall we escape eternal damnation? Believe on the Lord Jesus Christ, and you shall be saved (Acts 16:31). The greatness of this great salvation is in the offer of the LORD God who comes to us. The Lord Jesus preached, the Father bore witness, and the Holy Spirit came as the power of God to do His work in us. How great a salvation! In one sense they had been saved (from the penalty of sin), in another sense they were still being saved (from the power of sin), in still another sense they were yet to be saved (from the presence of sin). But God ever deals with His people as accountable creatures. As moral beings . . . He addresses their responsibility, writes Pink (An Exposition of Hebrews, p. 89). And so it is with us today.